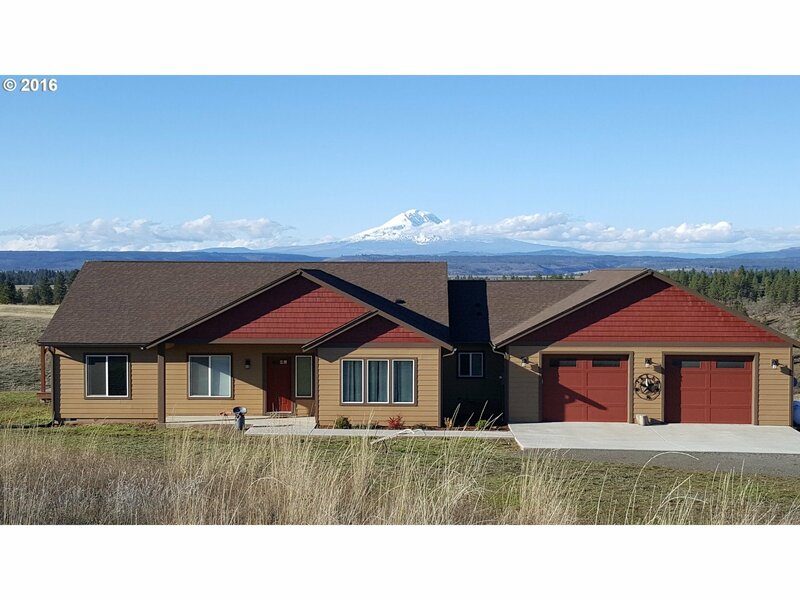 This 2013 custom built home on 20 acres is precisely sited to frame Mt. Adams views with wooded territorial views in the foreground. Consistent attention to detail and features makes this a spectacular choice. Open concept, energy efficient, media room, office/den, Craftsman doors. Custom gourmet kitchen, granite countertops, SS appliances & eat-in bar. 880 sq ft deck with pergola on private view side, seasonal creek. See feature sheet.